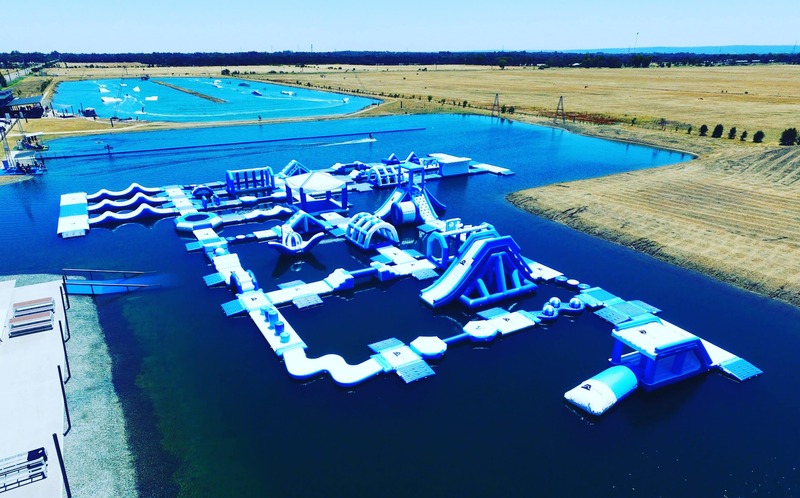 Perth Aqua Park is a huge floating inflatable fun park. It has over 100 different inter connected obstacles. Race your friends down the 3-lane course; get launched from the jumping pillow or blast down the big slides. It’s fun for everyone; kids or adults, sporting teams looking for fun and fitness, corporate groups seeking a team building activity or end of year function idea, or anyone looking for some fun as an individual or with a group. We are located at Perth Wake Park in Baldivis, 30 minutes South of the city. Take the Mundijong Rd freeway exit and we are right there on the junction of St Albans Rd.